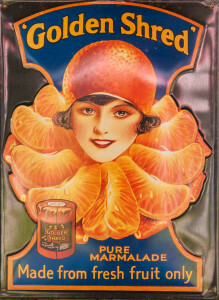 Robertson’s Golden Shred is the leading marmalade brand in Britain, with around a quarter of the market. 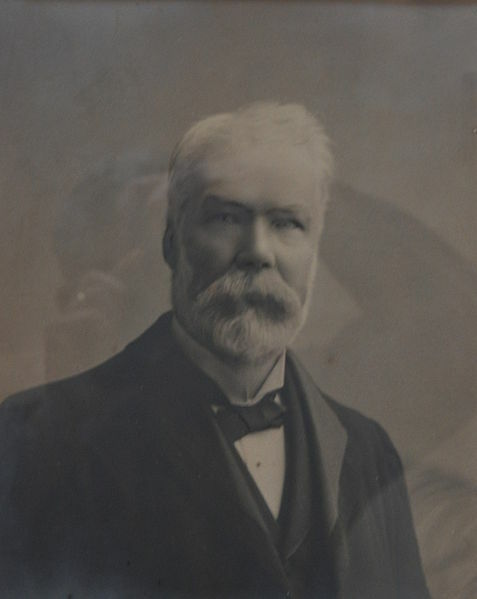 James Robertson (1832 – 1914) was a grocer in Paisley, Scotland. He was a Presbyterian. His wife developed Golden Shred marmalade in 1866, and its popularity soon saw production begin in earnest. The grocery business was divested in order to concentrate on marmalade production. Rapid expansion of the business saw a freehold site acquired at Paisley in 1873 where a large factory was erected. Rising sales in England saw a factory acquired at Droylsden, Manchester in 1891. A large factory was erected at Catford, Kent in 1900. A factory had been established at Boston in the United States by 1910. Robertson’s introduced the golliwog character to the label of its products from 1910 onwards. 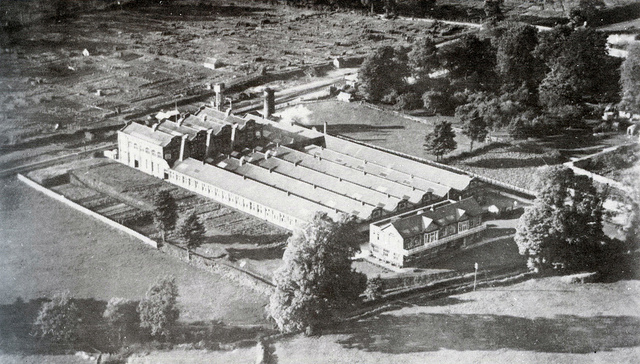 A new factory was opened in Bristol in 1914. Estimated output at the site was 150 tons a week. Robertson’s described themselves as the “largest manufacturers of marmalade” in 1919. Robertson’s introduced its own brand of thick-cut marmalade from 1929. Robertson’s marmalade was withdrawn from sale due to a shortage of oranges during the Second World War. James Robertson & Sons produced more jam and marmalade than anyone else in Britain by 1964. Success was largely confined to the home market, as only an estimated four percent of production was exported. The company bought 45 percent of the annual crop of Seville oranges by 1965. The company was spending over £1 million a year on glass jars and bottles by 1966. Unionisation was introduced to Robertson’s from 1966, beginning with 320 workers, out of 600 employees, at the Catford factory. James Robertson & Sons held 60 percent of the British jam and marmalade market by 1967. The Catford factory was closed in 1970, with the loss of 350 jobs. 207 employees were retained for distribution and administrative functions. The Paisley factory was closed in 1974. Robertson’s announced that it would close the Bristol factory, with the loss of 500 jobs, in 1979. Production would be concentrated at Droylsden. James Robertson & Sons had struggled throughout the 1970s with rising costs, a stagnant jam market and the growth of supermarket own-label products. The company was acquired by Avana, an own-label supplier of foods to Marks & Spencer and Sainsbury’s, in 1981. The Droylsden factory employed 764 workers, and produced 86 million jars of jam a year by 1986. Avana was acquired by Rank Hovis McDougall in 1987. Rank Hovis McDougall were acquired by Premier Foods in 2007. The Droylsden site was closed in 2008, with the loss of 253 jobs. Production was relocated to Histon in Cambridgeshire. In 2009 it was announced that the Robertson brand would be discontinued in jam, except for within the catering industry. Premier Foods announced that it would instead concentrate on the more successful Hartley’s brand. Premier Foods sold its sweet spreads division to Hain Celestial in 2012. I found an old earthenware pot with golden shred stamped on the bottom, how old would this be? Keiller began to use glass jars from 1928. I’d imagine Robertson was similar. So, at a guess, between 1866 to the 1920s. Could you upload some photographs? I have found an envelope containing 10 Golly Tokens 5 Roald Dahl Tokens and an order form and 2 Invoices are these of any use to anyone I do not want money just to pass tehm on for safe keeping.